We like to take the party outside—to the deck, picnic table, firepit, wherever—and there isn’t always an outlet available. 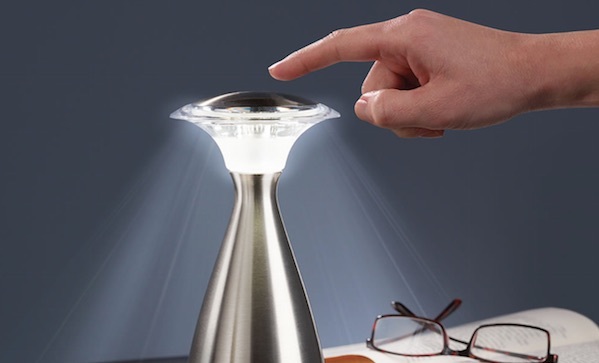 Hence this touch-activated cordless lamp ($40). It takes just three AA batteries and provides up to 120 hours of light. It’ll even turn off automatically after four hours of illumination to conserve juice.